Iceland was settled by the Norse in the 9th Century. When Viking settlers came from Scandinavia, they brought with them their Norse language, culture, and religion. Due to Iceland's location, being isolated at quite a distance from Europe, old Norse religion survived much later in Iceland than elsewhere. Even after Christianization, the cultural climate in Iceland was such that the old ways were allowed to survive alongside the new religion. In fact, it was a Christian who recorded the Norse myths as we know them today. Snorri Sturluson recorded the Prose Edda, also called the Younger Edda, as well as Sagas of the Norwegian Kings in the 13th Century. Although Iceland became decidedly Christian long before Snorri's time, the people did not become detached from their roots to the extent that many other Europeans were cut off from their own. Although the Roman Catholic Church was responsible for the (often forced) conversion of Northern Europe, Catholicism, in many cases, allowed regional folk practices to carry on as long as there was a Christian veneer polished over it. The cult of the saints is a good example. Local deities were often re-branded as local saints. In this way, locals could carry on venerating them. When the Renaissance picked up steam, however, reformers raged against the "pagan" aspects of Catholicism. Folk beliefs, seen as remnants of paganism, were stomped out with great fervor. 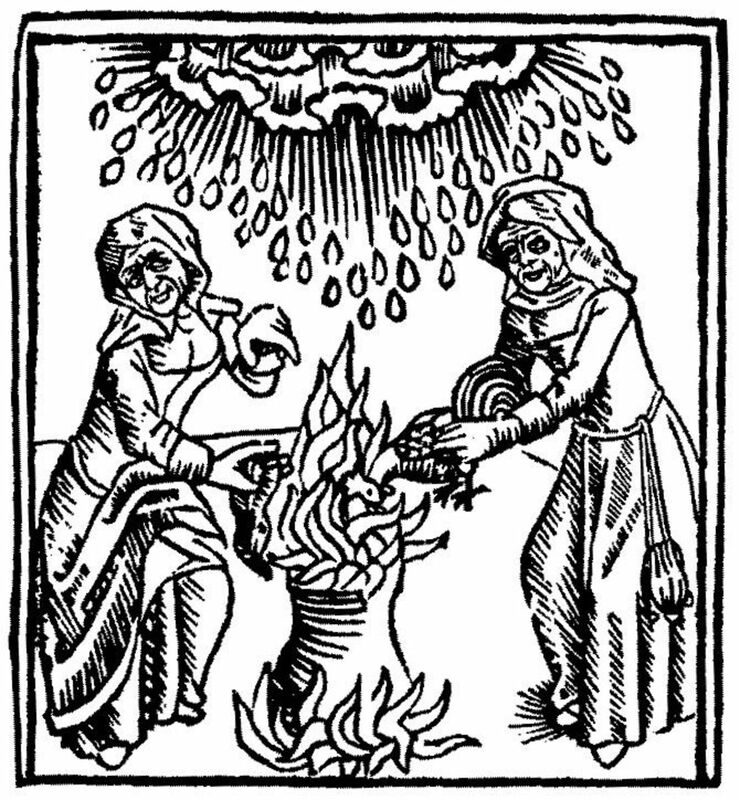 Although there were witch hunts in Iceland, the populace was removed enough from the on-goings of Europe for their folk beliefs to survive comparatively in tact. 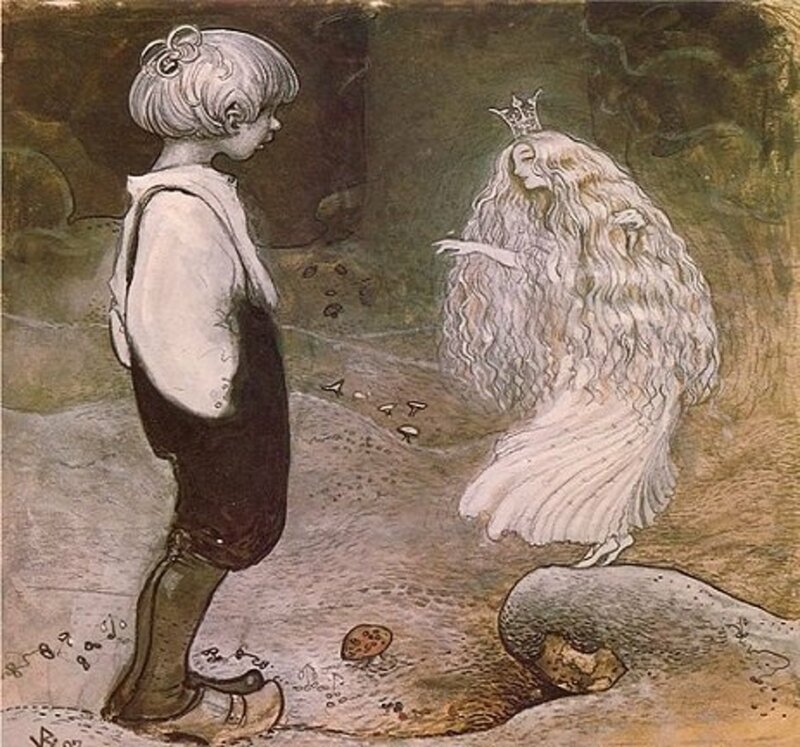 Among the old beliefs that held on was a strong connection with the Landvættir and Huldufólk - the "Land Wights" and "Hidden People." 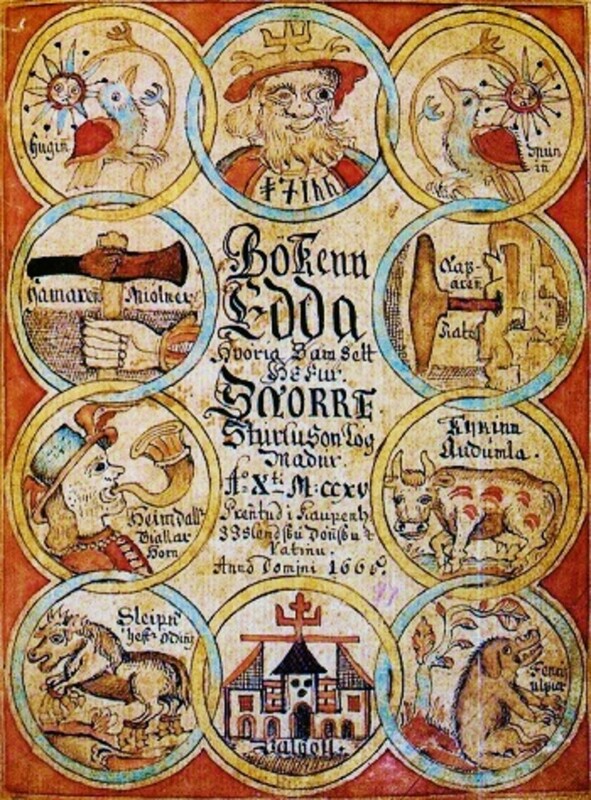 Title page of a manuscript of the Prose Edda, showing Odin, Heimdallr, Sleipnir and other figures from Norse mythology. While Iceland's isolation may have insulated them to protect their culture, there may have been another reason their ancient folklore survived. Iceland's landscape is... well it is difficult to summarize in a word. The landscape drastic, powerful, dramatic, awe inspiring, and you might even say that it is magical. Despite Iceland's name, the land is quite fertile, with an abundance of green during parts of the year. Being an island nation, the sea was (and is) a source of income and sustenance. So, ties to the land and sea remained strong. 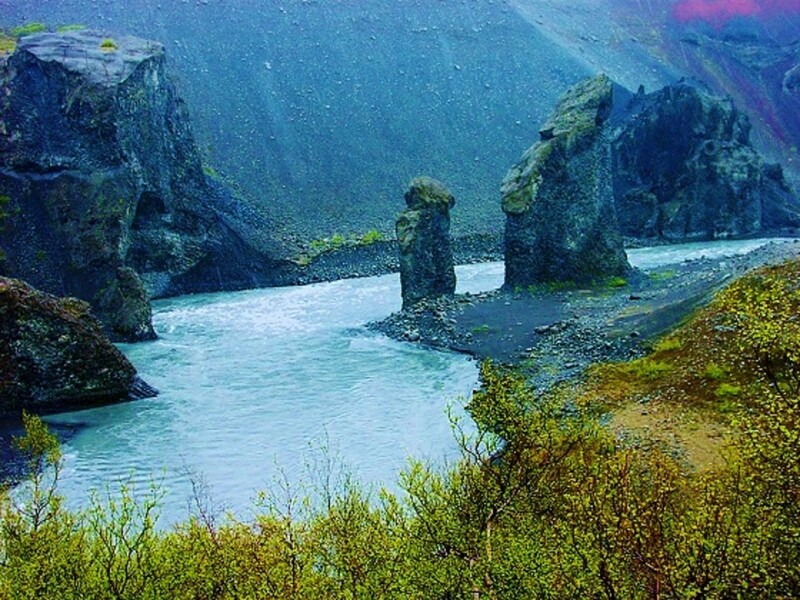 Even more poignant is Iceland's array of unusual geological phenomena. 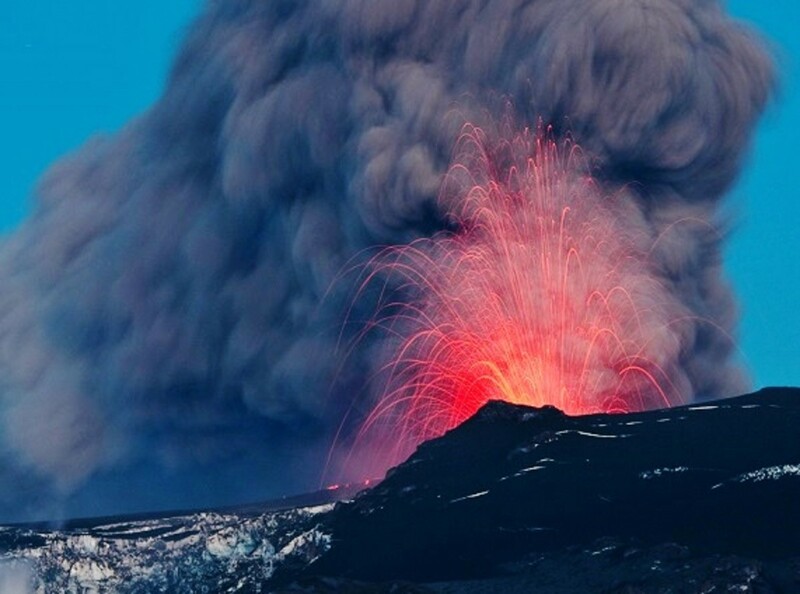 It is one of the most active volcanic regions on Earth. Geothermal activity such as geysers and hot springs are also abundant. What makes this region so unique is that the volcanoes and hot springs are juxtaposed beside snowy rock formations and glaciers. So what does Iceland's unique geology have to do with keeping Norse mythology alive? Well, it is almost as if the land is a living reminder of certain myths. 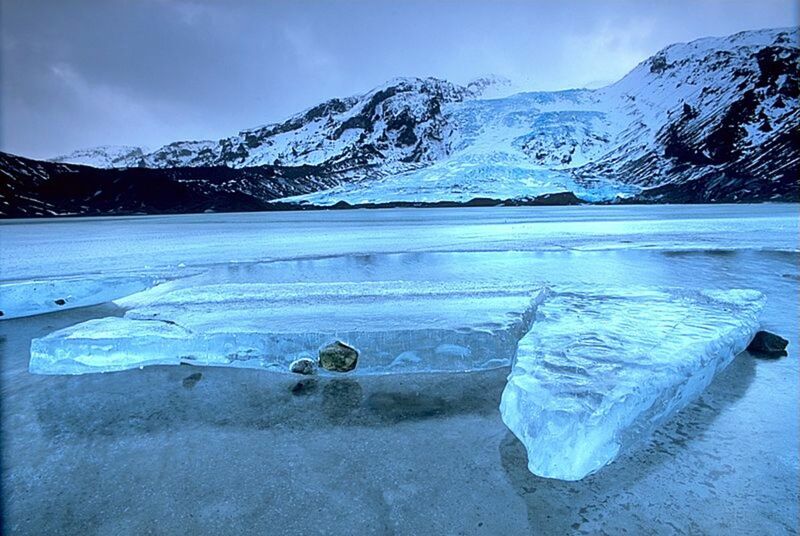 Fire and Ice are a large part of the imagery involved in the Norse creation myth. Muspelheim is the land of heat and flame. It is so hot that nothing can survive there except creatures indigenous to it, like the fire jötunn (giants). Niflheim, meanwhile, is the opposite. It is a cold, misty, land of ice. Nine frozen rivers flow through this frosty realm. Between these two lands was a great void called Ginnungagap. And it was in the void where fire and ice met, sparking the creation of the Nine Worlds. A large minority of Iceland's population openly admit to believing in Elves and other Hidden People today. These beliefs survived the longest in rural areas, where farmers may still commune with the Land Wights. However, the belief is surprisingly prevalent in urban areas as well. Many residential homes will pay homage to their garden Elves by building homes for them. Elf houses can be seen dotting the countryside as well. Although only a small percentage of people will admit to believing in them, a much larger percentage of the population still won't deny their existence. Many people won't openly say that the Elves are real, yet at the same time, they take precautions to avoid disturbing them. It's an approach that seems to say "Elves probably don't exist. But I don't want to take any chances in case they do!" 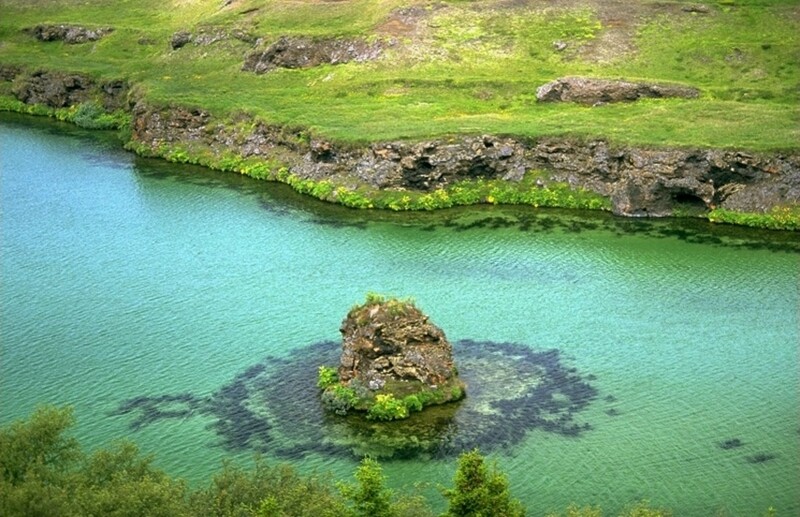 Icelanders believe that Elves live within boulders and large rock formations. If a boulder is known as an Elf home, it is considered disrespectful to climb on it or disturb it in any way. Bad luck could befall someone who disturbs the Elves. It is interesting that even though the number of people who will openly say "I believe in Elves" is a minority, the public will still speak out to stop building projects that will be trespassing on land believed to be Elf occupied. Road and highway construction has been halted and diverted when the public became aware that Elf rocks were scheduled to be demolished. United States military bases in Iceland have been scrutinized by locals for endangering the welfare of indigenous Elves. In 1982 150 people demonstrated at a U.S. naval base with concerns that the U.S. military activities were endangering native Elves. Sometimes "elf doors" are made from wood and colorfully painted by locals to be placed in front of rocks known to populated by Elves. This serves as an identification marker so that others know not to disturb those rocks. Icelandic Elves communicate with humans in various ways. They can express dissatisfaction in ways that are non-verbal, but never the less blatantly communicative. For example they may cause rock slides and other natural disasters to let it be known that human activity has angered them. 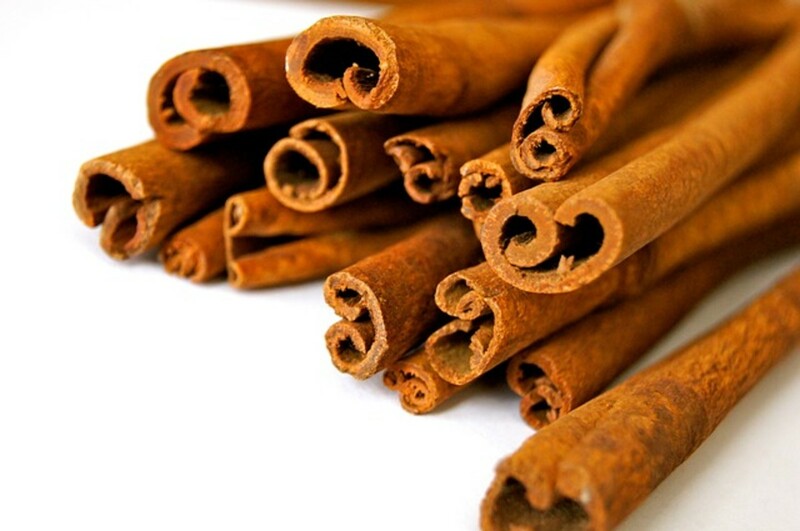 They can also cause illness in humans, failure of crops, and disease in livestock. When the Elves are pleased, however, they may bless a farmer with an abundant harvest, or grace their region with pleasant weather and smooth sailing seas. Dreams are another mode of communication for Elf to human contact. One Icelandic builder reported that as he was making plans to have a boulder on his project site moved, the Elven resident who lived inside it came to him in a dream. She asked that he give her family some time to gather their belongings and find temporary lodgings until the boulder was relocated, at which point they could move back in. The builder stalled the relocation of the boulder for a few days, delaying construction. When questioned on this, the builder refused to change his mind. Treating the Elves with respect was only the right thing to do. Elves can speak directly with humans on occasion. Most people are not capable of seeing them, but individuals blessed with psychic medium abilities may be able to see and communicate with Elves. 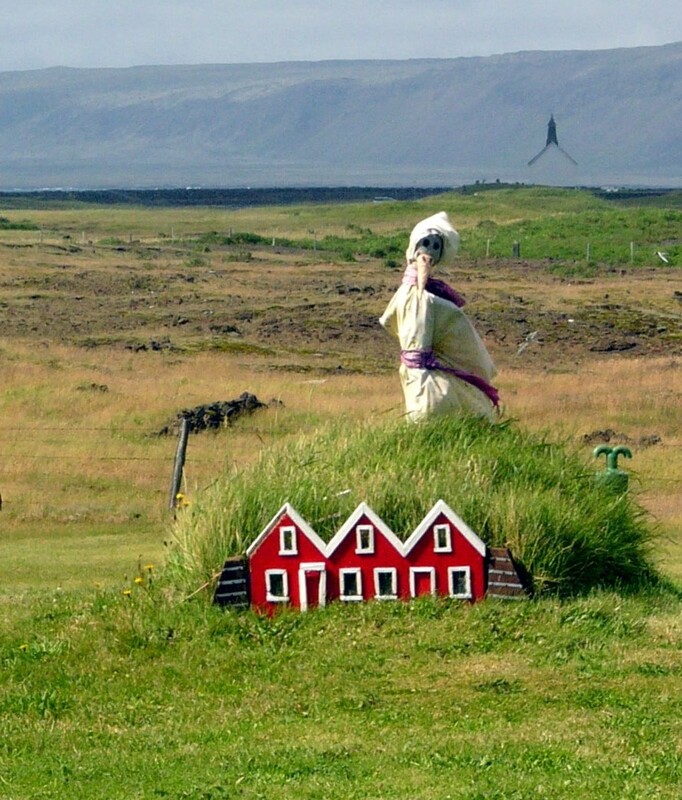 However, if you wander about in any Icelandic village, you are likely to encounter the odd housewife who says she can see and speak with the Elves residing in her Garden. Do writers earn ok when writing for exemplore? Great & informative article, but I feel that huldufolk can never be called Elves... Huldufolk or The Hidden People. Human size, magical creatures, calling them elves, well..
you never know, you might be barking up the wrong tree! Or rock. 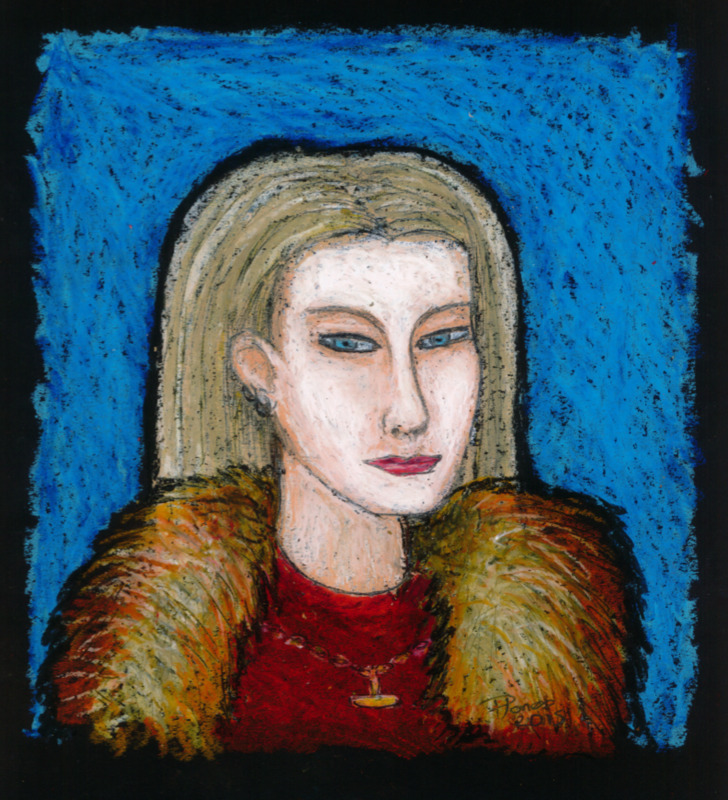 Carolyn, the population of Iceland ís far form enterly of norsk origin 60% of icelandic women have celtic female genes. 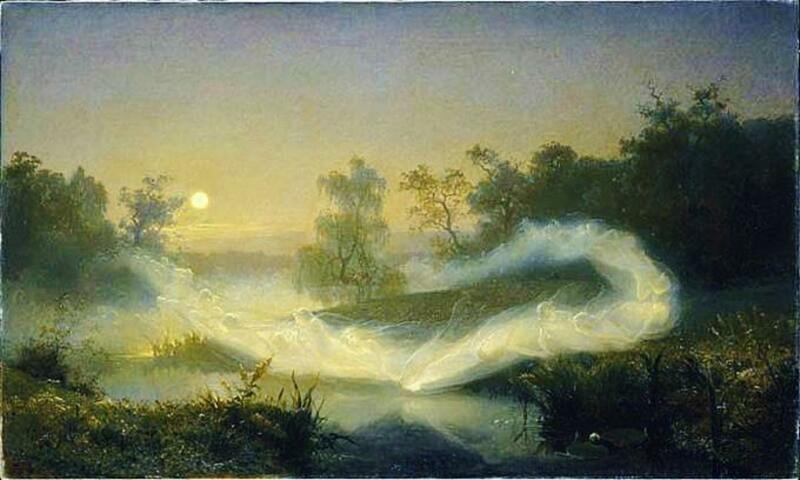 The style of poetry and believes of supernatural origin is likely as much from the Celtic roots as from Norway. Fantastic hub, very very interesting, great pictures and full of great details,thanks! This is a great HUB. You've really done your research on this topic. I'm looking forward to sharing this with my students. Hi Sage! I think in America we have that idea of the Wee Folk as Celtic because we had huge numbers of Scottish and Irish immigrants, and most were English speaking by the time they got here. The Germanic cultures have a very rich tradition of elf lore. And, in fact, Lowland Scottish elf lore is Germanic, not Celtic. Lowland Scotland has Anglo-Saxon heritage and they traditionally spoke Scots Doric which is a Germanic language, different from Scottish Gaelic in the Highlands. For example, Scottish brownies are Germanic house elves. The Celts lost domestic spirit stories due to their very early conversion to Christianity. Another interesting difference is that Germanic elves tend to be more friendly and helpful in the folklore, and Celtic ones tend to be more malicious. Again probably to do with early Celtic conversion, and the Germanic people were converted much later :-) another point is that contrary to popular misinformation, the Celts converted by and large peacefully, while the Germanic people were converted by force. 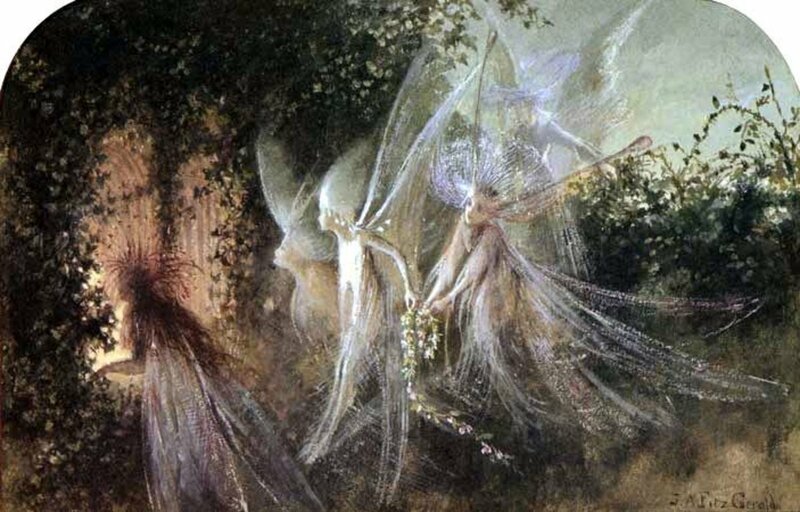 So that could be why the Celts willfully demonized their Fairies, while Germanic people continued to honor theirs. Very cool. Usually the 'wee folk' are associated with the Celts, it's nice to hear some of the beliefs of other cultures. I love that people worried about endangering the elves. Very good reading, Carolyn! Great pictures and format. You drew me in with the first sentence. Voted up. It is recalled that Vigdís Finnbogadóttir, the president of Iceland in the 1970s and 1980 was once asked whether she believed in elves. She replied "My grandmother told me that elves exist. Who am I to call my grandmother a liar?" I love this article! I am very into mythology, especially Norse mythology. 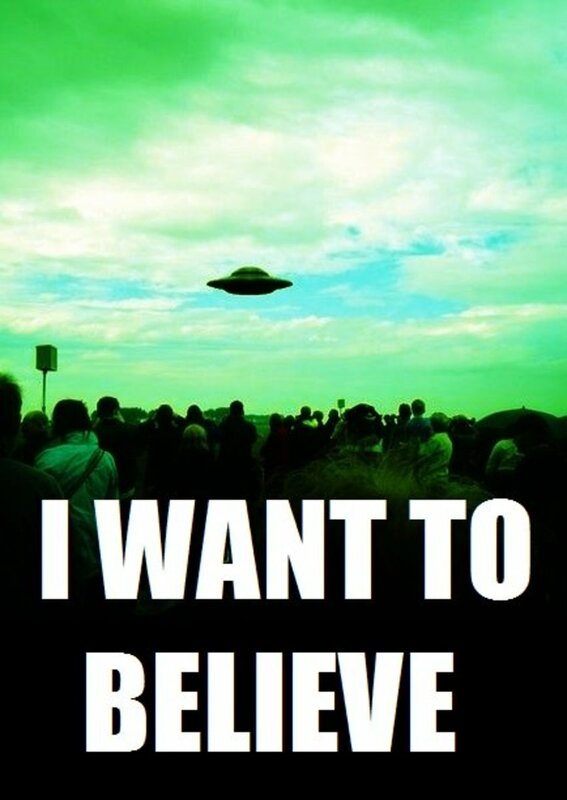 Im Pagan, and believe in all of the mythical beings. I can see them myself. 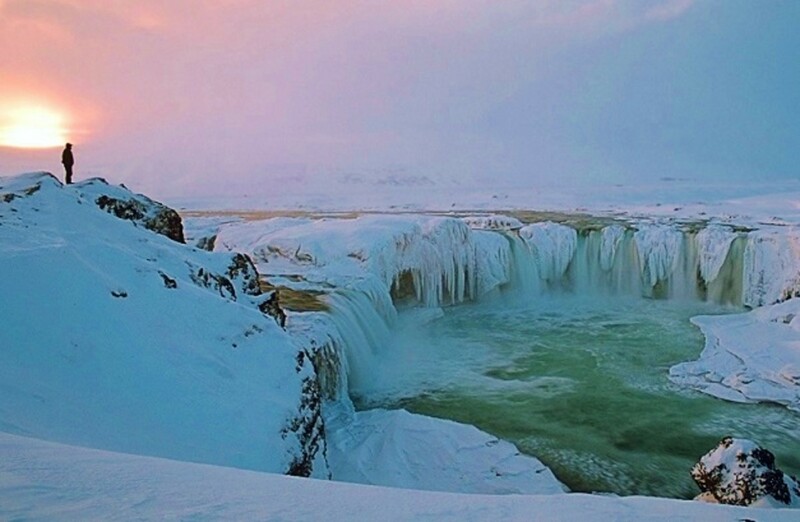 I would love to go to Iceland one day. Itd be interesting to see or feel the Elves presence. Very informative hub. My favorite is Jökulsárgljúfur National Park, Iceland. From the picture it looks so beautiful. And the Elves in Iceland look so mysterious. Thanks for sharing...voted up! What a nice article. Iceland is sort of a magical place. I'd love to go there. (But I don't think I'd want to live there.) Thanks for a good read. Very interesting information, Carolyn. I enjoyed reading about Iceland and the Elves. I am delighted when I learn about places where folks hang on to the old beliefs. Wonderful and well-written hub. Voted up and shared. Thanks for reading and commenting Thomas :-) I will have to look into that syndrome because I'm very interested in folklore and possible causes behind the stories. Thanks for mentioning it! Hi Carolyn, this was incredibly well written. I rarely read a hub from start to finish with such interest, but you captured mine. 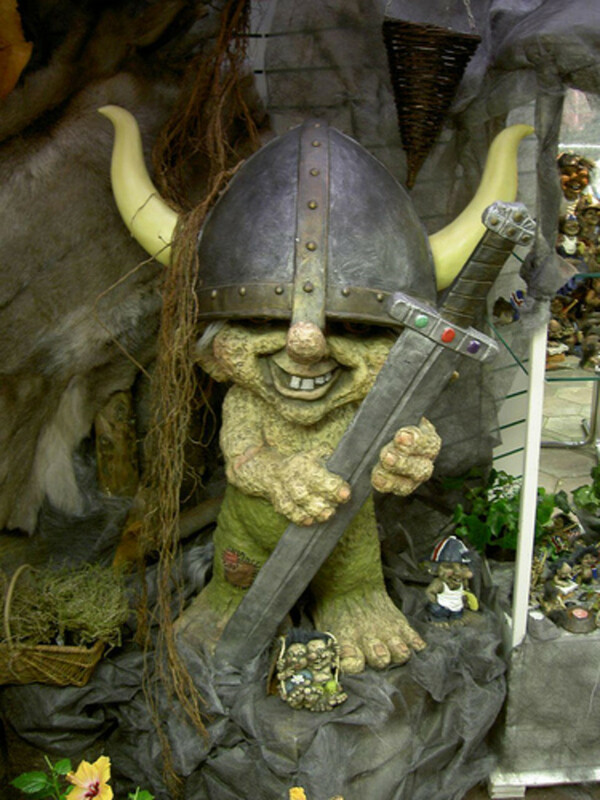 Despite my fairly extensive writings about weird and wacky gods and mythologies, I'm embarrassed to say I didn't know about Iceland's debatable population of elves. The child in me loves to climb on rock formations and boulders, so I don't expect that would go down too well in Iceland! I read about something called "Charles Bonnet Syndrome" recently, in which people with visual impairments (usually just due to old age) can develop CBS, causing them to see little people and objects like fairies, goblins, and presumably elves. I expect experiences related to CBS added to this mythology and may even have been the origin of it. 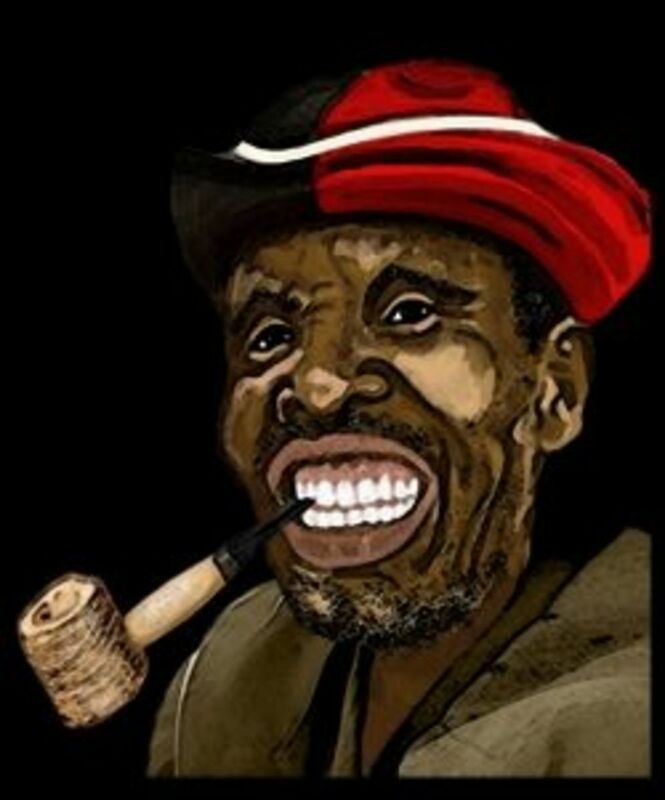 Of course, there are many other reasons for the proliferation of superstitions, but CBS might have some relevance here. Fascinating article! Iceland sounds like a beautiful and rather mysterious place. I liked the idea that the dramatic landscape of the country helps keep the connection to the old beliefs alive for the people. The complexities of modern Icelanders response to the reality of elves is also well brought out here. It's true! 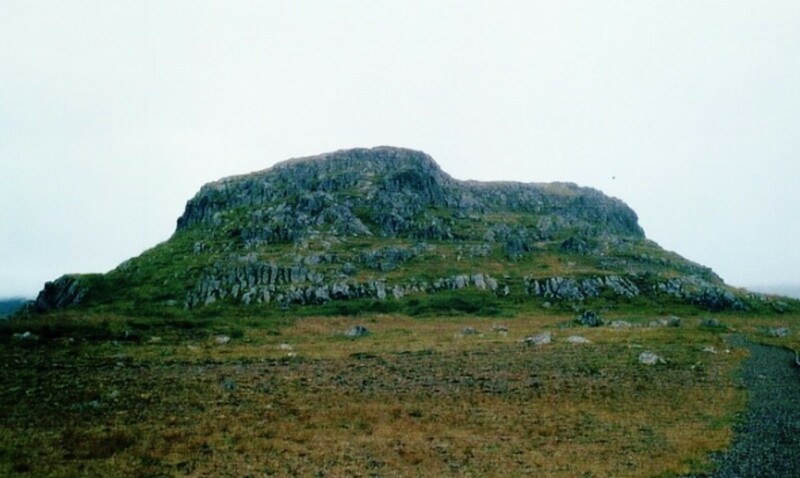 I went to Iceland a couple of years ago for a college graduation present and our bus driver was talking all about the huldufólk and how he had seen things happen that made him know that they exist. I seriously couldn't believe that he was legitimately saying the things that he did...and he was pointing out boulders on our drive where they probably lived. I couldn't believe it! I even read a newspaper article by a college professor at the University of Reykjavík while I was there talking about the probability of their existence (and he seemed to be of the opinion that it was probable). I couldn't believe it. And my family is from Iceland! But I don't know if they believe in the huldufólk, I'm going to ask my Grandfather on Sunday if he ever heard stories about them from his mom. Thank you so much for writing this! Well well done, ég elska Ísland! Oh my, how I just love this Hub! Thank you so much for sharing this fascinating information. I really loved and enjoyed learning about the elves and all the legends and stories about them and how it is customary to pay respect to the elves. And the elf houses...how enchanting! I would LOVE to visit Iceland and learn it's culture, it looks absolutely beautiful there as well! My, my such splendor and dramatic landscapes, so much beauty and diversity from one area to another! Just splendid! Voted, voted, voted and shared! Wonderful hub! I'd really like to go to Iceland and see those elf houses, and of course discover the beautiful country. I like this, especially the elf houses and the extent to which people may go so as not to disturb them. What an ingenious topic for a hub. So nicely written and researched. Voted up and more.